Mumbai: Just before Kraft Foods Inc. acquired Cadbury Plc. for about $19 billion in January 2010, its chairman and chief executive Irene Rosenfeld visited Cadbury House in Mumbai. A photograph shows a security guard shooing her away as she stood outside the building wondering about the outcome of the bidding process. Kraft’s largest investor, Warren Buffett, had expressed doubts about the deal. “The outcome has certainly been positive," Rosenfeld, 58, said at a media round table in Mumbai on Tuesday. “India will continue to be a key part of the overall portfolio and we are expecting it to be a very, very significant contributor to our overall growth." Rosenfeld wants Kraft to be among the top food firms in India. Cadbury India has a formidable presence in the chocolate category, but in the overall food and beverage space Nestle India Ltd, PepsiCo India Holdings Pvt. Ltd, Coca-Cola India, Britannia Industries Ltd and Parle Products Pvt. Ltd are larger. This growth was aided by a 70% increase in investments in research and development, capex and merchandise, which accelerated the growth of Cadbury and the launch of two new categories—Oreo cookies and Tang drink mix—in India, according to Rosenfeld. Kraft’s global revenue has grown at 7% so far this year and net profit at 12%. Organic revenue growth from developing and emerging markets was 13%. India’s ₹ 3,000 crore chocolate and confectionery market, as of December 2010, has attracted multinational firms including Ferrero Group and Mars. Cadbury has a 70% market share. In October, Ferrero opened a plant in Baramati, 100km from Pune in Maharashtra, to make Kinder Joy chocolates and Tic Tac mints using locally sourced raw materials and offering employment to about 1,300 people. Nestle India, the local arm of the Swiss food firm, announced a ₹ 1,700 crore investment earlier this year to double its capacity. Rosenfeld, on her first visit to India since the acquisition, said that besides investing in the country, Kraft is exporting talent and systems from here to other markets. In the past two years, it has sent 25 key people from its India office to foreign centres and is planning to use its domestic retail trade tracking system, Meranet, in developed markets such as Japan. It will also take the bite-sized chocolate platform from India to its other markets. Even as Kraft is on track to achieving 70% of its targeted $750 million cost-savings by the end of 2011, and is beginning to see synergies in revenue that could be close to $1 billion, Rosenfeld in August announced the company will be split over the next year. Of the resulting entities, one will be a $32 billion snacks company selling biscuits, drink mix and chocolates with a focus on emerging and developing markets; the other will be a $16 billion groceries business largely in North America. Following the split, India, Brazil, Russia, China and Indonesia and other emerging and developing markets, which account for 30% of Kraft’s global revenue, will contribute 40% of the revenue of the yet-to-be-named snacks firm, said Sanjay Khosla, Kraft’s international president. Abheek Singhi, partner, Boston Consulting Group, believes Rosenfeld is on the right track in India. 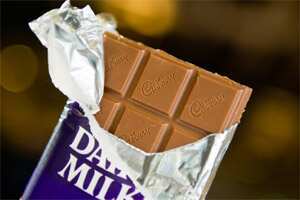 “The primary categories of chocolates, confectioneries and biscuits are high-growth categories in India. Just by focusing and investing on these categories the company will be able to see high growth," Singhi said. Rosenfeld is still waiting for Buffett to congratulate her.